So, this time I would like to tell you about another beauty brand from the famous South Korea; Shangpree. 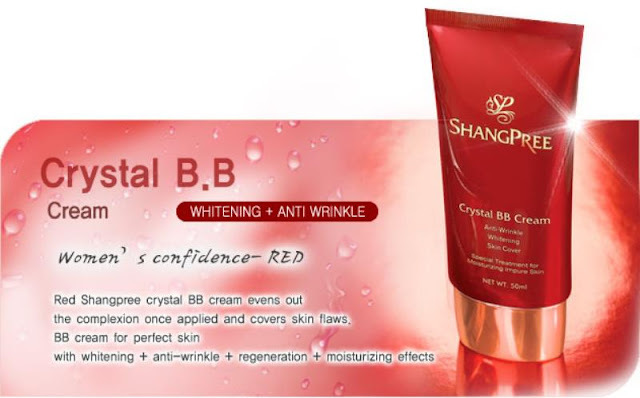 This time, I had a chance to try Shangpree Crystal BB Cream. It claims as anti-wrinkle, whitening, and skin-cover. So, let's prove all of it then. For your information, I got this product around 10 days ago. 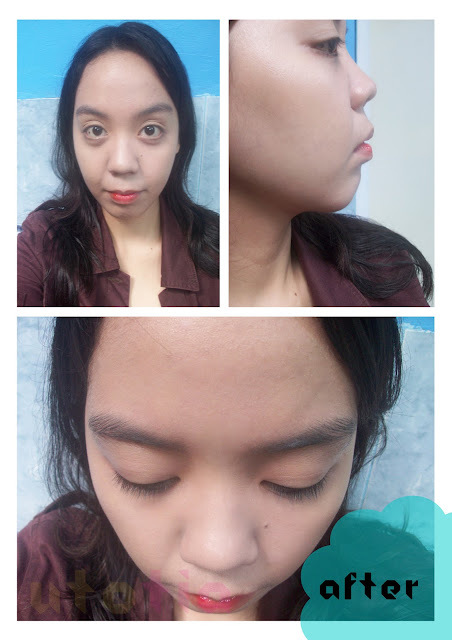 And for 10 consecutive days, I always apply this BB Cream (that's why I call this post as try out instead of review). The texture is very creamy and the color is considered light compare to other BB creams I've ever tried. It also has a very nice scent which I love. 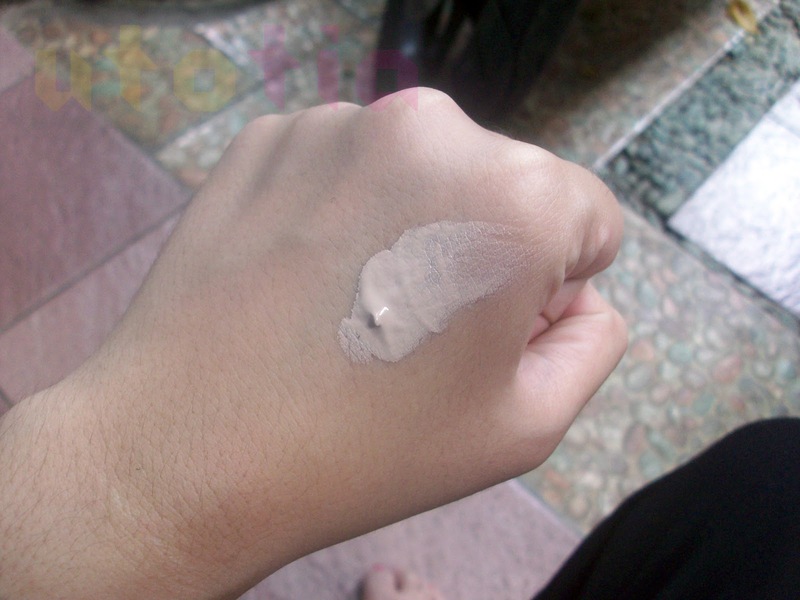 So, as you can see on the picture above, the final result of this BB cream on my hand is very nice. It has a very natural finish, and whitening effect (which I love the most because most of BB creams oxidize or have grayish shade). These are few of the pictures I've taken daily to compare between before and after wearing Shangpree Crystal BB Cream. Before, you can see that I have a dull skin, with uneven skin tone. 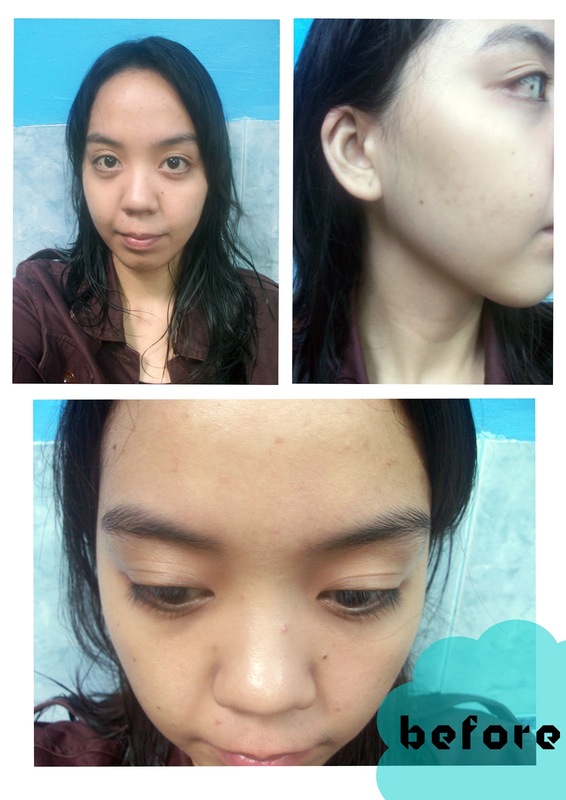 On my T-zone, I also has a lot of acne and acne scars (in form of dark spots). And yes, not to forget the enlarged pores (d'oh!). Whoa, the final result on my face is as satisfying as the result on hand! You can see it by yourself that it do brightens up my face and has a very good coverage. It covers up all of my skin flaws. Lucky me, I also love how the shade fits my skin very well (brightens up but not too much). Not to forget that this BB cream also contains SPF30, perfect for on the go since you don't have to apply separated sunscreen before. It also proves its other claim: skin cover. So far, this may be the best coverage BB cream for me. It covers up all of my skin flaw including: dark spots, redness, dark circles, blemishes. In brief, this BB cream is very recommended for those who want natural finish and provides good coverage as it really does cover up my skin flaws including redness, blemishes, dark spots, and dark circles very well. For those of you who are reluctant to try it because you are afraid of getting fake one, Shangpree has its own Indonesian official website which sell it online too. Of course it's guaranteed to be 100% authentic and original product since Indonesia has Shangpree's official distributor. ohya,, check my blog ya..